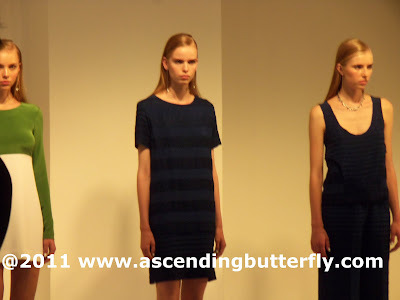 Ascending Butterfly: Odilon Spring/Summer 2012 Fashion Presentation! Odilon Spring/Summer 2012 Fashion Presentation! Totally digging the white jacket above! This is perfect resort wear and I can see me taking this set along with me to the Caribbean! A shot of the all the white outfits and the designer! Not sure if my camera did this shot justice, the green on this dress is a bit more vibrant than this photo would indicate! 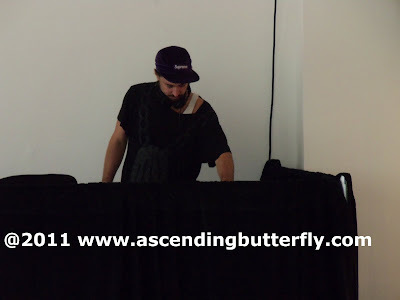 OK, you know I HAD to snap a shot of the DJ, he ROCKED! 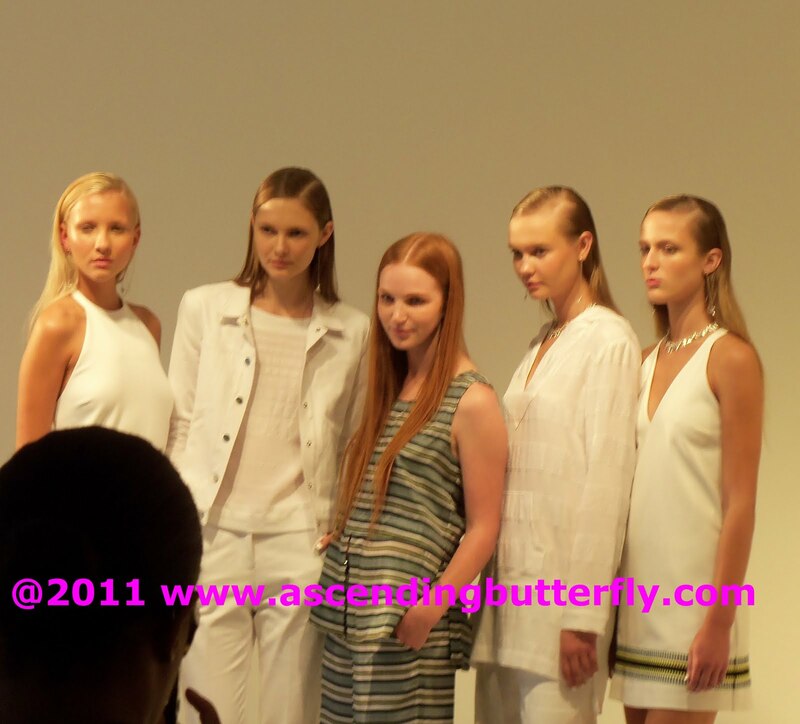 Here's a shot of all the models, I have a penchant for catching models smiling in my coverage, don't you love it? Designer Stacey Clark (center) and her lovely creations! I enjoyed getting a sneak peak of Odilon's S/S 2012 line, and hope you now feel like you were there! Congrats on being one of the top 10 post of this month in iFabbo! Thanks for visiting my blog! This collection would be great for a casual day! I love it! Thanks for sharing! @Mimi - Congrats to you as well! This actually wasn't my first visit to your blog, I've been stalking for awhile now! My first comment though. This is definitely a great casual or resort collection! Kmart Latina Smart Brand Ambassador! Wordless Wednesday - Bridesmaid DVD Event Launch! 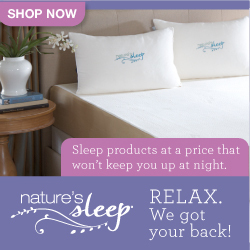 Weekly Moment of Gratitdue + Winners + Giveaways! Today's Words of Inspiration - I am here. Now. Winner Announcement! - ZIPZ winners! Oikos Greek Yogurt Review and Recipe too! 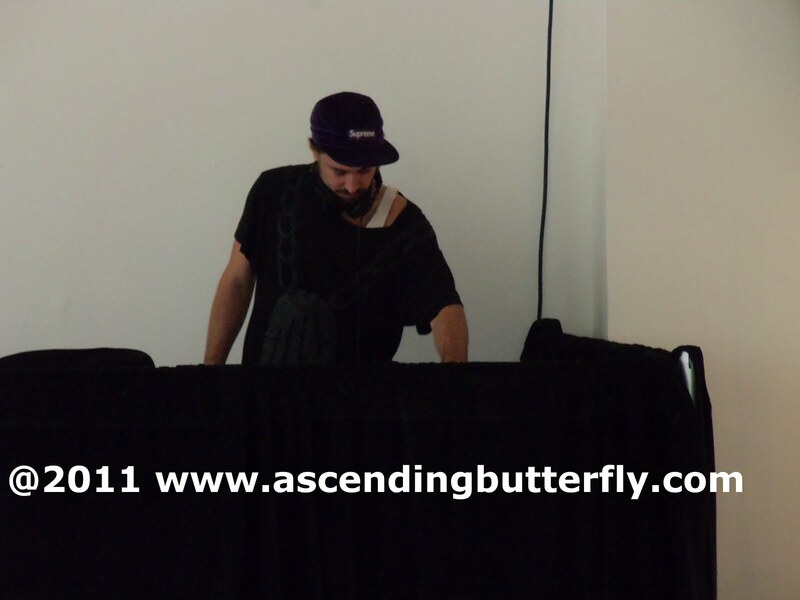 Happy Labor Day Weekend Butterflies!